Barbara Edwards is here to tell us about her series, Finding Rhodes End and her newest release, Ancient Curse. Please tell us about your series, Barbara. Ancient Curse is the 3rd book in my Rhodes End Series. On the surface, nothing distinguishes Rhodes End from a thousand other small towns. More than half the population works at regular jobs, have normal families and lives. Farmers, shopkeepers, teachers and other townspeople are unaware of the ‘different’ ones. The dark undercurrents never touch them. An ordinary tourist tooling up the scenic road may tell friends of the charming village, but only the harmless or the expected find it easily. The basic rules of space and time seem the same, but magic can occur along with paranormal activity. In fact, those with paranormal senses find them stronger, more reliable. Rhodes End is located on a confluence of magnetic ley lines that draws magic and paranormal activity. Rhodes End dog-legs the Northeastern corner of Connecticut, the hip pressing against Massachusetts while the paw scratches into Rhode Island. Rhodes End rarely appears on maps due to boundary and settlement disputes. Less than an hour from Hartford, Boston or Providence, major highways cut through the hills less than a mile away. The ley lines are the same lines that pass under Stonehenge, the Great Pyramid, Machu Pichu and Anasazi ruins in Arizona. Their mystical power is recognized by ancient religions. The power existed before the Caucasian influx chased away the small tribes who used the site to call their spirits. Nothing is noted of the even older pictographs in the deep caves. The entire series started with a nightmare about the cemetery next to the house I grew up in. I love all the quirkiness of New England and its inhabitants. 2. Dreams/nightmares often inspire me as well. How did you come up with the names for your hero and heroine? In Ancient Blood, Cole was easy since his hair is an inky black and I wanted him to be dark and mysterious. Of course, I named her Lily as in Lily white, his opposite. 3. What would women find irresistible about your hero? All my heroes have a flaw and need help to heal inner wounds. Steve Zoriak, from Ancient Awakening, fears the mutation caused by his exposure during a lab accident will keep him from ever consummating his love for Mel. In Ancient curse, Cole can’t get over the death of his first wife and his guilt. Thomas from Ancient Curse won’t risk Rainie’s life when he can’t escape his past. What woman can resist? 4. A flawed man is the best man. If you have a pen name, can you explain how you came up with it? I use a pen name to please my husband. When I started writing, stalkers were active with many authors. Since he is a retired police sergeant he was concerned with my safety. 5. Smart thinking! What are a few things we would find in or on your desk? A lump of coal. My husband gave it to me as a joke about diamonds. I keep it to remind me that if you want something, sometimes you need to create it yourself. 6. I thought the coal might’ve meant you were naughty. I like what it really stands for more. Is there a teacher you would like to personally thank for his/her influence? Hazel Robinson, from Prospect Street School, posted poetry for us to memorize every week. It gave me a love for the flow of words that has kept me writing and hoping to achieve that level of skill. 7. If you could give your book to anyone in the world to read who would it be and why? My sister, Patricia, would love to read anything I write. 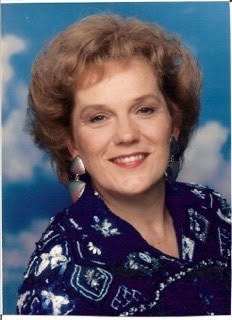 She passed away from diabetic complications before I was published. She always kept hope alive and shared love like it was endless. I’m sorry for your loss, Barbara! I bet your sister is proud. I have a Belgian Malinois that we adopted from a shelter. I love to garden and have several antique roses. My home is a small Gothic Victorian built in 1872. We restored the inside and left the original wraparound porch. I cut the gingerbread to restore it. 9. What lessons did you learn early on in your writing career? The only way to finish a book is to ignore life and write. 10. If you could write anywhere in the world, where would you go and why? Thanks for telling us about your series, Barbara! Please leave a comment for her! Thanks for hosting me today. You have a lovely site. Thanks, Hebby. Glad you had fun. Excellent interview! I agree that inspiration can come from the most unlikely of places...even cemeteries! Inspirational dreams are the best! Hope they keep you inspire to write. You're so lucky to have inspirational dreams. Mine are a jumbled mess. Thanks. I hope you like the book too. Your Rhodes End sounds like a fascinating place! And the book sound delightful, as well. I live about four miles from a Civil War battlefield in Missouri. I love attending reenactment activities. I would love to see a reenactment of the Civil War one day. I've made a lot of good friends at reenactments who also love history. Loved the interview, Good luck with the book Barbara. Thanks for leaving Barbara a comment! Thanks for the good wishes. The next book is in the works. great interview, your book sounds fantastic, Barbara! I'm so sorry about your sis. And I LOVE Hawaii. Went to Maui a few times for family vacations as a teen (and the Big Island once) and it's really the most amazing place. I've been twice and would live there if I won the lottery. Living next to a cemetary can't be good for a person with an active imagination! Depends. We played there all the time as kids. Great interview, Chrys! I enjoyed hearing Barbara's insight on the characters. thanks for the comment Cherdo. Nice of you to visit. I love the consept of your story, Barbara! I see you love museums. I use to work at Old World Wisconsin as a costumed intrepreter. Did you ever get there? Your comment had gone to my spam folder for some reason, Ilona. Sorry about that! I wish to interview great authors too. I have ideas now. Thanks. I'm sure you'll like it. Chris is a great example. You're a born interview, Chrys. The symbolism behind the coal is inspiring. I dare say we all have something that keeps us working towards our goals. Thanks, Brenda. Chris had great questions. Great to learn about his writer. I can see how that cemetery must have influenced her writing. Cemeteries next door are always grist for the mill. Congrats to her. Hey, Chrys, I will love reading Barbara's book. Fantastic idea to write about. 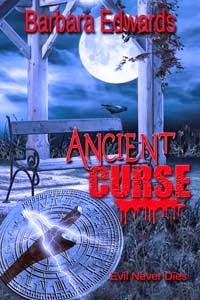 Who wouldn't love to read a book titled Ancient Curse? The setting is perfect for such a story. I'm very sorry about your sister. I have diabetes so I understand 'diabetic complications'. What a great interview, you two. Lovely to meet you and learn about your writing, Barbara. Sounds like a book I'd enjoy! I love how she came up with the names. Simple and fitting. Very fitting! Thanks for commenting, Shannon!